To be best, we need the best. 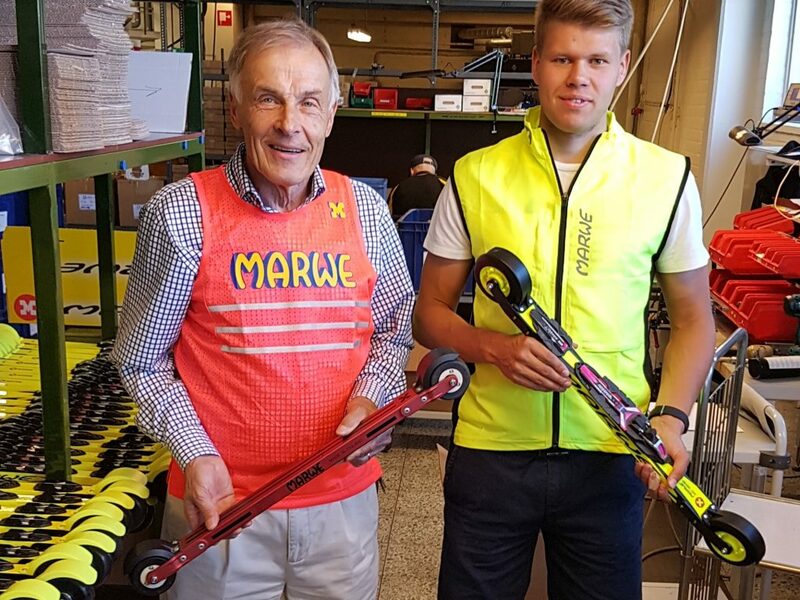 This thought said out loud by Finnish biathlon legend Simo Halonen, and the offspring of Hyvinkään Kumi employee Yrjö Viirret were behind the birth of Marwe’s roller skis, and especially our world-famous wheels. Hyvinkään kumi was founded in 1926, The company produced high quality rubber and plastics components and it is one of the oldest plastics and rubber companies which still makes its products in Finland. 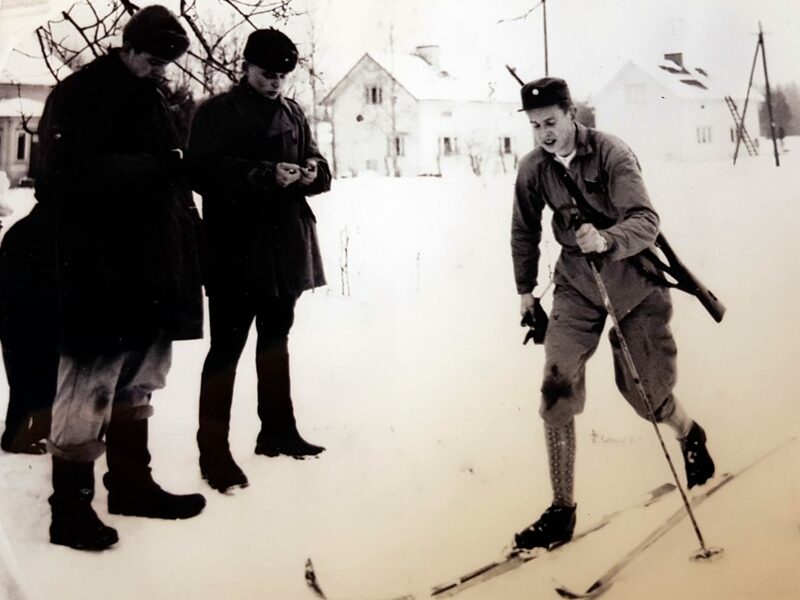 Yrjö Viirret still roller skiing on Marwe´s at the age of 79 in 2018. 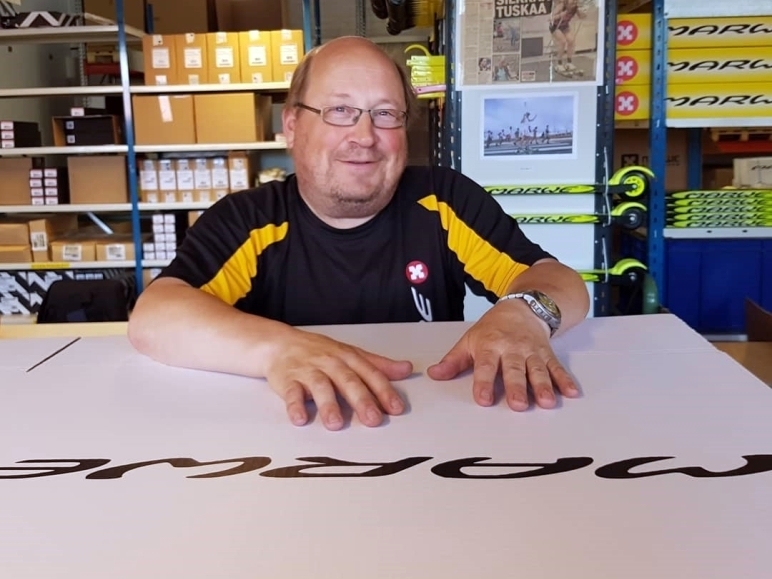 During the 1980s Yrjö was the foreman of former Hyvinkään Kumi´s metal department which to this day produces tools and moulds for manufacturing and his children Mikko and Eija-Maija Viirret were promising skiers on the Finnish National Junior Team. In addition to cross country skiing, Eija-Maija and Mikko participated in biathlon practise at the nearby Riihimäki shooting range, and were coached by former world champion Simo Halonen. Simo became acquinted with the Yrjö, and asked him would it be possible to manufacture roller skis and ski wheels at Hyvinkään kumi. During these times getting your hands on wheels and spare parts for roller skis was very difficult. Soon it became evident that the wheels produced by Hyvinkään kumi (kumi means rubber in English) were of a much higher quality than the competitors wheels available on the market. This lead to the companies decision to develop and produce their own roller ski. The Marwe roller ski brand was born. Biathlon world champion Simo Halonen with his protege European champion Jaakko Ranta. Simo is donning Marwes original wind jammer from the late 80s and Jaakko from 2018. 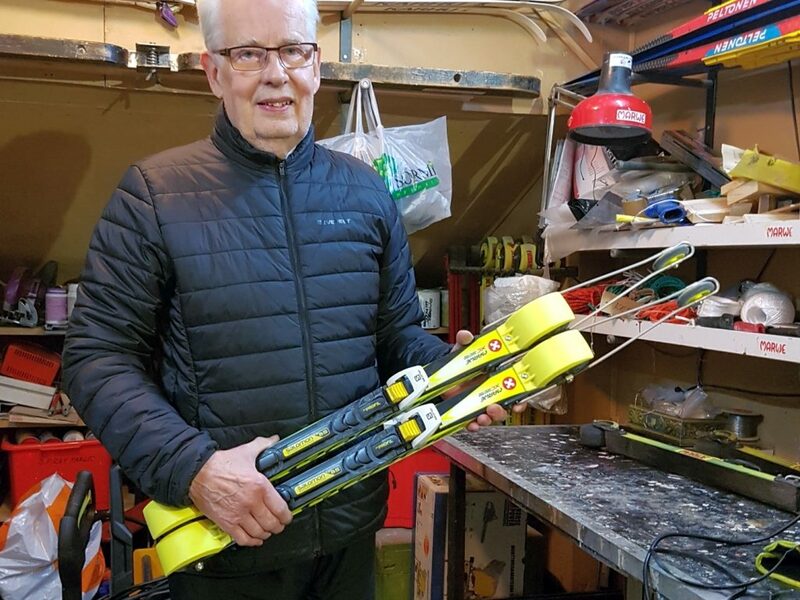 Hyvinkään Kumi´s main target was to produce an affordable but at the same time high quality roller ski and also provide a reliable supply of replacement parts for the skis. 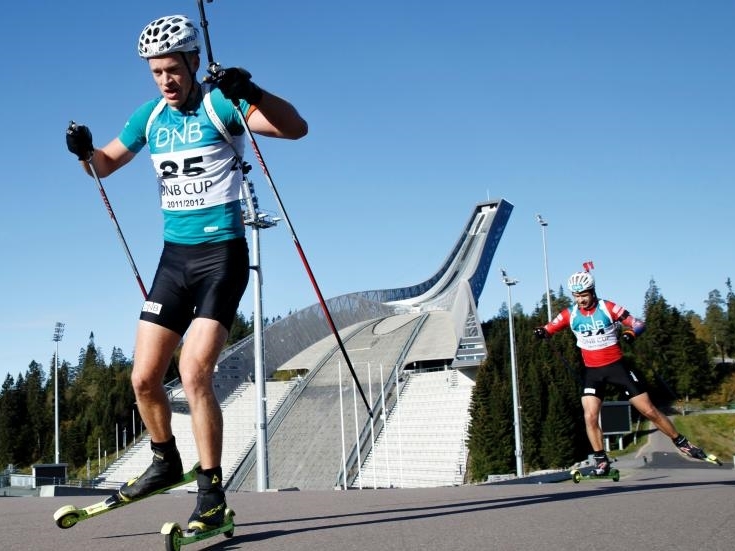 Local skiers worked in co-operation with biathlon world champion Simo Halonen in developing the skis. 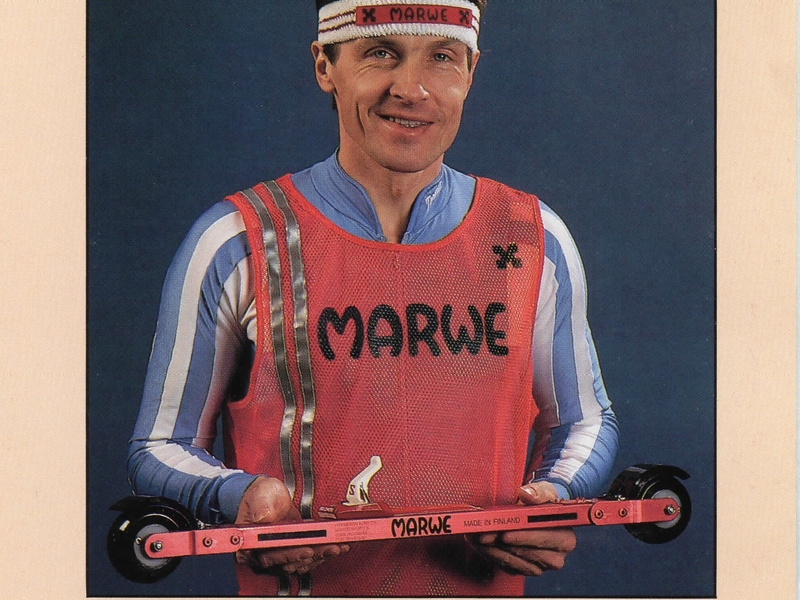 Marwe´s first pair of skis were sold in April 1986. These early models were suitable only for skating style skiing and the ski frames were made from aluminium, and equipped with 80 x 40 mm rubber wheels. Circa 1000 pairs of these skis were sold during the first season of 1986. Quite soon after this, the composite frame roller ski models were introduced to the market, and manufactured by the Lampinen ski factor. This factory was owned by famous Finnish rally driver Simo Lampinen, whose grandfather Emil Lampinen, started off in Porvoo 1901 with a ski factory for Karhu, and the Lampinen ski factory begun producing skis in 1922. 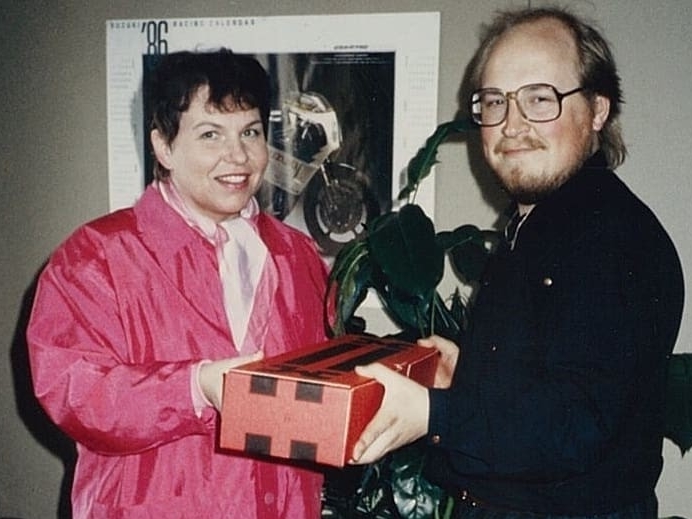 When the Lampinen factory was closed down, Marwe moved over to Peltonen frames in 1993. Sales manager Olli Welander happy at work in 2018. 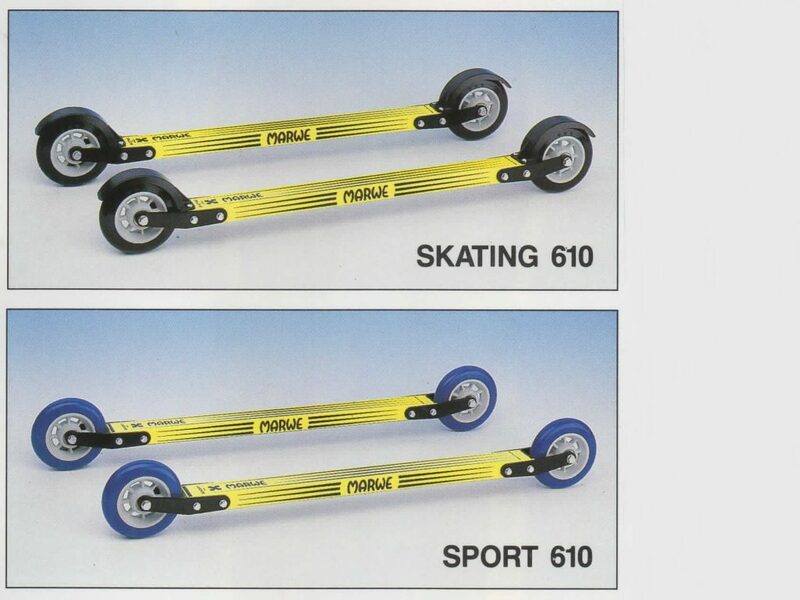 The first model of the renowned Skating 610 roller skis was produced in 1990. By the late 90’s Marwe developed their Combi Ski shortly followed by the Classic 800 C due to increasing demand. 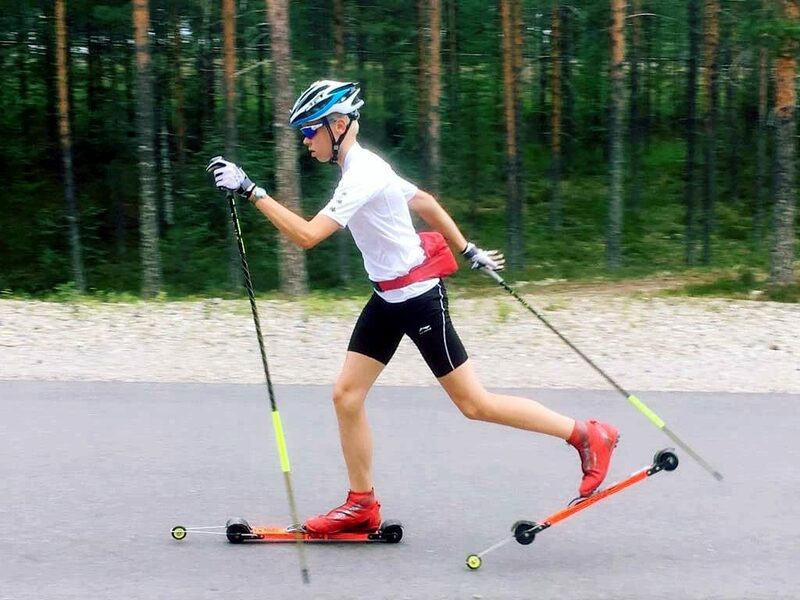 Finnish Nordic combined skier Rasmus Ähtävä roller skiing on original Combi skis, in 2018 in Vuokatti. Picture (c) Rasmus Ähtävä. Original Aluminium 610 skis from Marwe brochure. This ski is one of our most popular roller skis. It is based on the original 610C composite model.Read more about this model in May 2019. 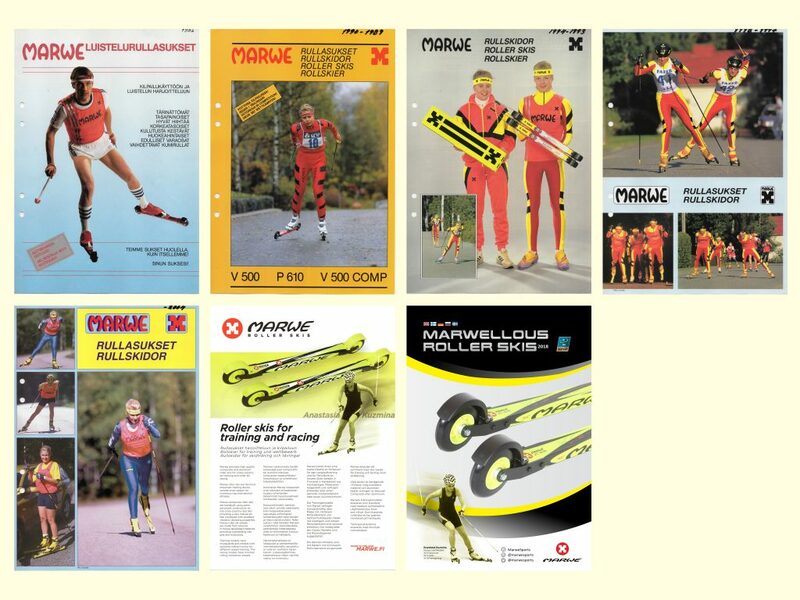 Marwes roller skis soon became the favourite summer training equipment for many top athletes. 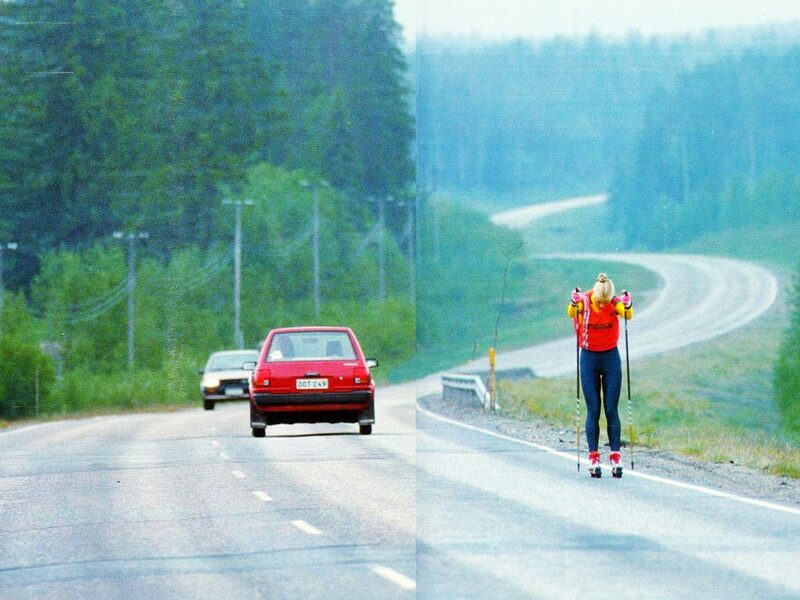 One of the the first to achieve success with the help of our skis was Finnish cross country skier Marjo Matikainen-Kallström (née Matikainen) As there was a need to train intensively round the year. She picked our skis as one of her main training methods in addition to Nordic walking and cycling. Marjo was a familiar sight in XXXX roller skiing intensively. Pushing the physical limits soon paid off.